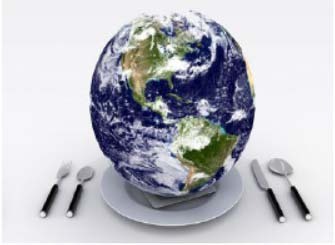 A panel about sustainable diets will take place April 6 at 7 p.m. in 200 Falk College. It will include Allan Gandelman, owner of the organic farm Main Street Farms; Jennifer Wilkins, endowed professor of practice in nutrition and creator of the Northeast MyPlate, promoting local eating in the Northeast; Ruth Sullivan from the University’s Food Servies; and Parvinder Singh, executive chef in the University’s Food Services. Panelists will talk about the connection between people’s diets and climate change. The panelists will share their different perspectives about the connection between people’s diets and climate change, how they have experienced this connection in their line of work, as well as how people can begin to eat in a more sustainable manner for the future of our planet. Sponsored by Falk College’s Nutrition Education and Promotion Association (NEPA), a student-run organization that brings together Syracuse University students interested in nutrition and health and encourages them to share that interest with the surrounding campus and community, the event is free and open to the public. It will be of particular interest to anyone interested in sustainability, nutrition or food policies.